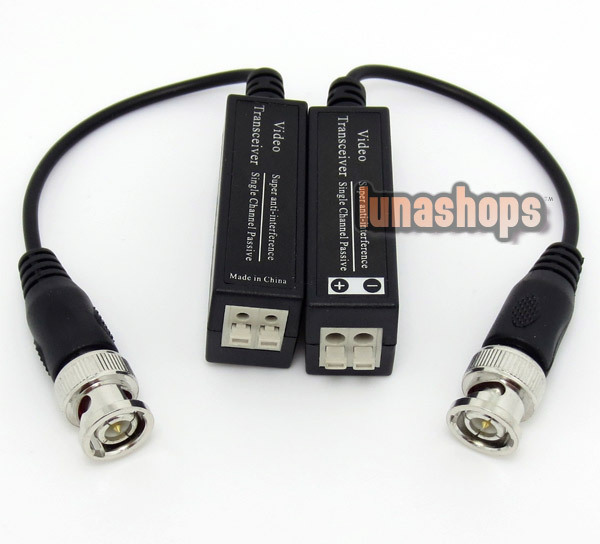 The 1 Channel Video Balun is a device that allows the transmission of real-time monochrome or color video over Unshielded Twisted Pair telephone wire. Enabling reactance equally to zero, it transform the video signal into an identical signal but with opposite polarized magnetic fields. 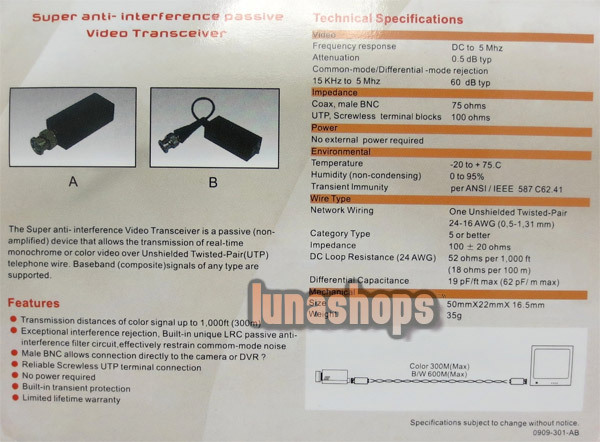 Anti-interference Transceiver with unparalleled common interferences rejection, the units can transmit image in high quality even in strong interference environment. Composite signals of any type are supported. 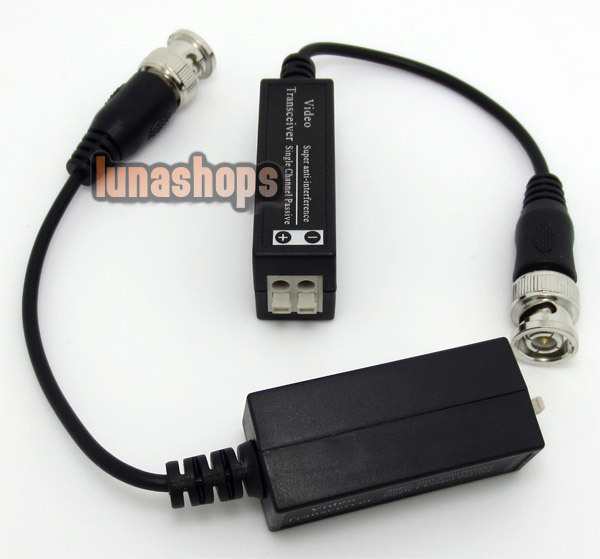 Transmission distance of color signal up to 1,000ft (300m) when used with an passive transceiver. Transmission distance of color signal up to 3,000ft (900m) when used with an active receiver. 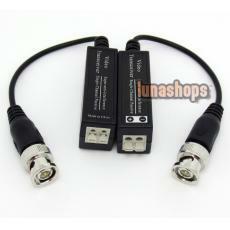 Impedance: Coax, male BNC 75 OHMS; UTP, screwless terminal blocks 100 ohms. Category Type: 5 or better.